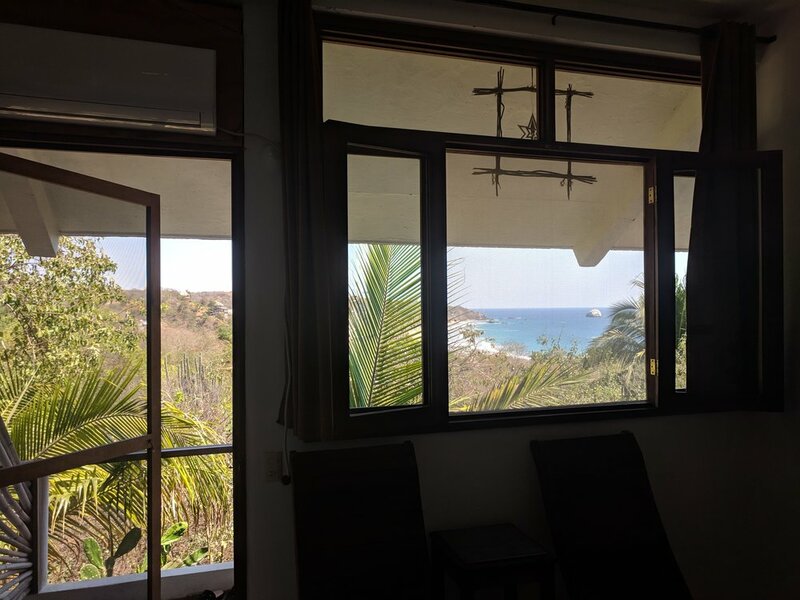 At Arigalan all our rooms have spectacular ocean views. We offer several rate options from our suites to our very affordable cabanas. 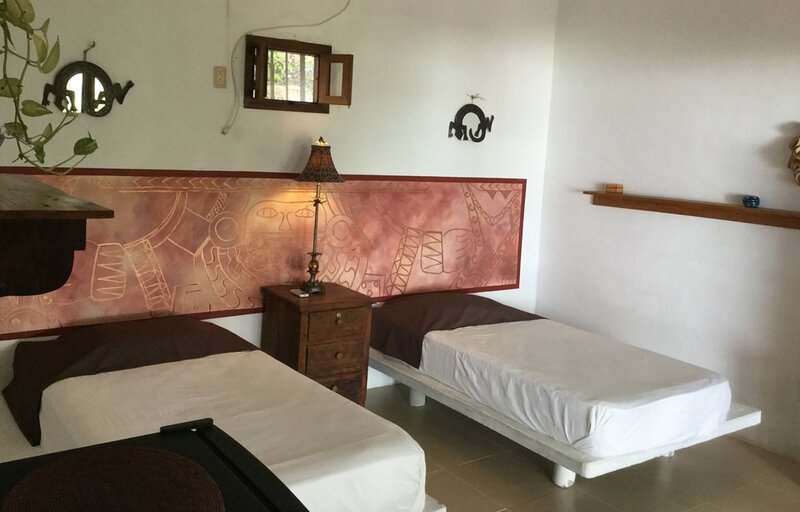 Rooms include wifi access, fans, option for air-conditioning, private bath, private patios or balconies. Plenty of parking with 24 hour security. Rates are subject to 16% federal IVA tax (Impuesto al Valor Agregado) and 3% state hotel tax. Rates are for double occupancy. Additional $500 pesos each extra guest. *High season prices are subject to fluctuation. We offer Monthly and Extended Stay Rates on all our units on request. These services are available with advanced notice. Prices on request. 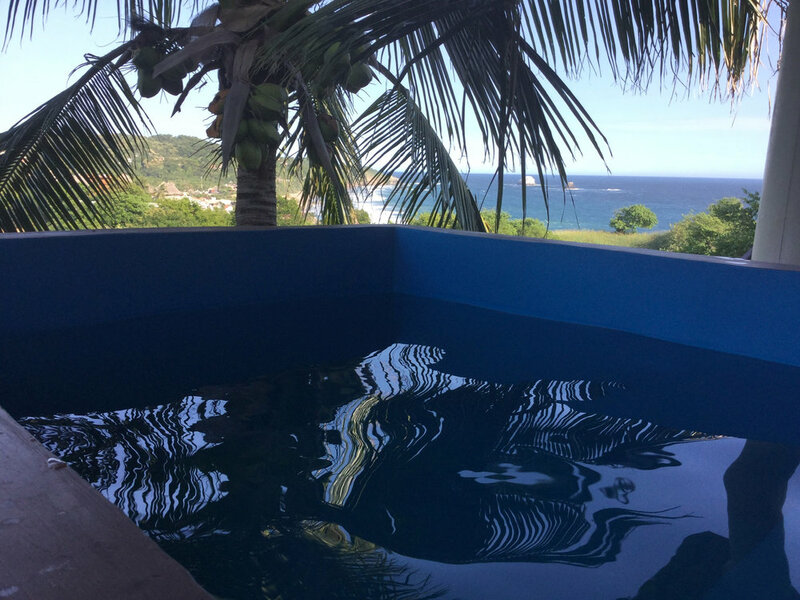 King size bed, air-conditioning, refrigerator, private bath and our special feature of private romantic plunge pools overlooking San Agustinillo Beach and the amazing Pacific Ocean. Option of either king or two full beds, private bath, refrigerator, private patios with ocean view. A full bed, air-conditioned, private bath, wall fan, spacious with beautiful ocean view. Cosy, open air for the budget traveler who likes comfort and security (no air conditioning, no refrigerator), a single bed, private bath, mosquito nets and wall fans. Our dorm rooms have individual locking doors and a shared bathroom.